Partner Businesses get up to 50% off our products! Businesses who want to display and sell any of our products can get up to 50% off our beverages and CBD Oil when you join our Wholesale Program. Get up to 50% off OKYRIE ROYALE products by joining our Wholesale Program. Provide your customers with the highest quality products around. 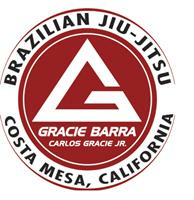 Come experience first hand the benefits of Brazilian Jiu Jitsu. Unlimited classes for kids or adults and an extra free week for chamber members (or their family) to train. Come to Baker Fairview Self Storage and we will give you 25% off of your storage unit for 3 months! All Costa Mesa Chamber members receive 10% off any services. Check our website www.mycostamesadentist.com for our monthly specials! All Costa Mesa Chamber members receive 10% off any services. Special Rates for Chamber Members ! Powerful branding sponsorships to reach the most affluent homeowners in the area.